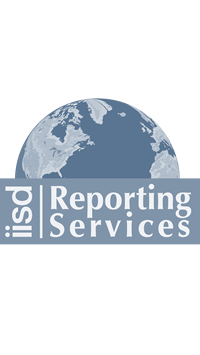 The Climate Negotiations Browser allows the user to navigate over 20 years of UN climate negotiations as captured by IISD's reporting system: the Earth Negotiations Bulletin. The DISCOVER interface offers a visual overview of the most visible issues and actors of the negotiations. The EXPLORE interface allows the user to search, filter and read verbatim text directly from ENB. 1 What are the negotiation issues? 2 Other negotiation issues 3 Who are the climate negotiations actors? The diagram shows the evolution of visibility of four discussions related to the Kyoto protocol (measured as the percentage of ENB sections mentioning expressions related to each discussion over the total of ENB sections for the year). The first stage of negotiations was framed by the effort to establish the Kyoto protocol and to decide its functional rules and integration within the UNFCCC system (this second concern will remain highly important throughout the negotiations). After the Kyoto Protocol approval, the discussion shifted to questions concerning the implementation of the agreements taken in Kyoto. The first period of the negotiations seems occupied by a prevalence of questions regarding negative consequences of global warming as well as the response measures introduced to mitigate it. Contrarily to what could be expected, the discussion over the mechanisms necessary to finance the adaptation of impending consequences of climate change begin before and seems to be more visible than the reflection directly addressed to these impacts and the vulnerabilities connected to them. In the last stages, it is possible to observe the emergence of specialized discussion about greenhouse sinks (in the particular the question of forests) and about the liabilities and compensation connected to the impact of climate change. The diagram shows the visibility evolution of the most engaged negotiation groupings. Each line shows the percentage of ENB sections in which the name of the corresponding group is mentioned (over the total of ENB sections for the year). The diagram shows the increasing engagement of countries in the southern hemisphere, in particular the African Group and the Independent Association of Latin America and the Caribbean, as well as the transversal Environmental Integrity Group. A clear peak is visible in many lines during 1998 (particularly the EU and the G77 and China). The interpretation of this peak, taking place right after the adoption of the Kyoto Protocol, is not obvious: it may corresponds to the efforts of some negotiation groupings to encourage the implementation of the Kyoto protocol, but it may also derive from a change in the way the ENB reports on the negotiation. Considering the most visible countries in the different years of the negotiation, one can see the constant importance of the United States, China and Australia (the European Union has been not considered in this visualization). Other particularly visible countries are Japan, Saudi Arabia. Canada and Switzerland seems to ‘switch places’, as Canada disappears from the top positions after 2009, while Switzerland returns in 2006.